Owing to the polarising attitude that Nehru seems to evoke nowadays, I should make it clear that I am not one of those people who hates Nehru. In fact I am hugely appreciative of many things that Nehru did in the home front both before and after independence, not least of which was making India a “secular” country. But, I only wish that people who love Nehru would take a more balanced approach towards him because both his hero-worshipping and vilification does not do justice to the man who played such an important, crucial and complicated role in Indian History. Having said that, I do consider Jawaharlal Nehru’s decision not to push for India’s permanent membership of the UN’s Security Council (UNSC) despite having the support of both the US and the Soviet Union as the biggest foreign policy blunder by India’s first Prime Minister. 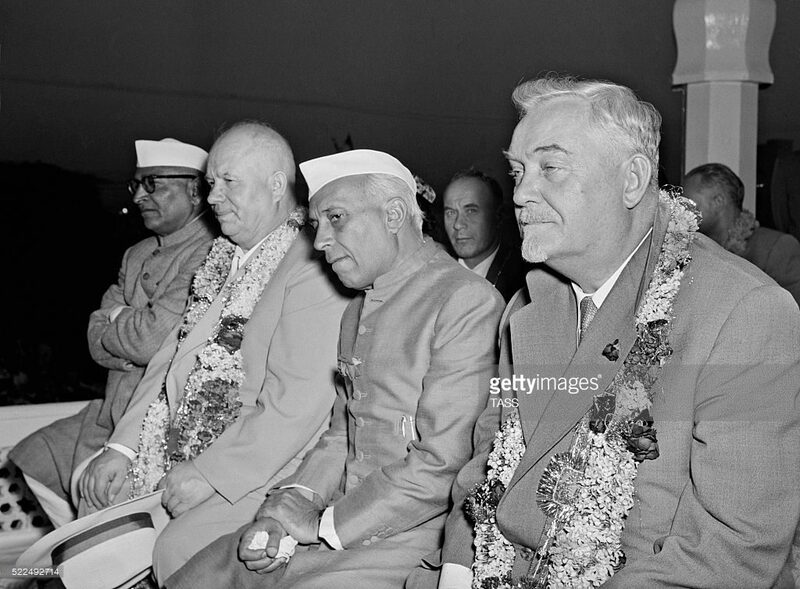 In the article cited above, Dr. Anton Harder puts forward several arguments supporting Nehru’s decision to refuse both the Soviet and American offers to make India a permanent member of the UNSC. To Dr. Harder’s credit this article is very well researched and that substantial amount of time has been spent in the archives to write this article is evident. I do not plan to undermine Dr. Harder’s scholarship and hard work but only want to point out things in the article that I find untenable. It was in 1950, that the US proposed making India the 5th permanent member of the UNSC in lieu of China. The reasons behind such a step were quite straight forward. 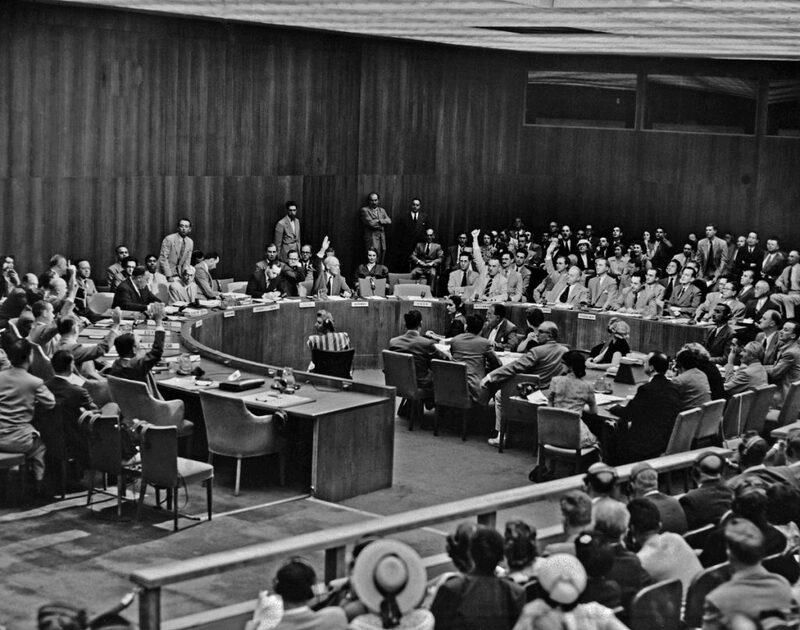 Even before the formation of the UN, it was made clear that the Republic of China along with the UK, US, USSR and France will become the members of the yet to be formed Security Council. 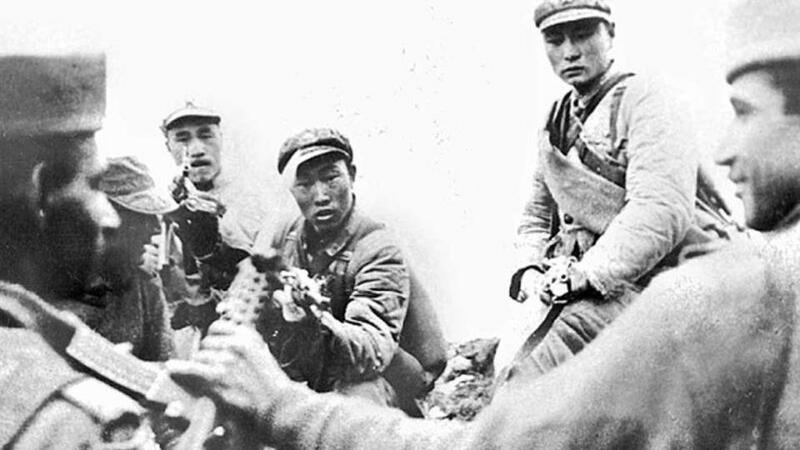 But in 1949, Chiang-kai-Shek’s Republic of China was overthrown by Mao Zedong’s People’s Republic of China (PRC). Obviously several countries had problems with placing the “usurper” on such a powerful seat like that of a permanent member of the Security Council. But with the Cold War heating up between the East and the West the US and others also had a problem with bringing into the Security Council another Communist member. Nehru on the other hand made India one of the first countries to recognise Mao’s newly formed People’s Republic of China and not only lobbied for PRC’s place in the UN’s General Assembly but also actively promoted PRC’s case to be recognised as a permanent member of the Security Council. So, when Nehru’s sister, Vijaylaksmi Pandit, who in 1950 was India’s ambassador to the US communicated her host country’s intentions for replacing China with India as a permanent member of the Security Council, Nehru instead of seeing its potential was shocked and appalled. Nehru wrote back to his sister saying that this was a ploy by the US to drive a wedge between India and PRC and that if China was deprived of its place in the Security Council of the UN as a permanent member, it would anger the USSR so much that they and their other allies would walk out of the UN which would lead to another massive war. Such response from Nehru to the American offer could not only be termed as an over-reaction but also shows that Nehru sometimes suffered from megalomaniac levels of self-importance. Fast forward to five years later i.e. 1955. India’s important role in the Korean War was appreciated and recognised by all. India was seen as a leader of the downtrodden people and nations who were trying to gain their own independence. Moreover India was a true leader of the Non-Aligned Movement and had managed to remain equidistant from both NATO and the Warsaw Pact (as India’s shameful stand during the Hungarian Revolution of 1956 was still one year away). Moreover investments and other material resources from both NATO and Warsaw Pact countries were flowing into India. It was under such circumstances that on June 22nd 1955 the Soviet Premier Nikolai Bulganin wrote to Nehru saying that the USSR would like to propose India as a permanent member of UN’s powerful Security Council. [i] According to Harder Nehru thought that somehow the Soviets had caught wind of the US proposal 5 years back and wanted to get a sense of where India stood and hence sent a “feeler” with the said proposal. 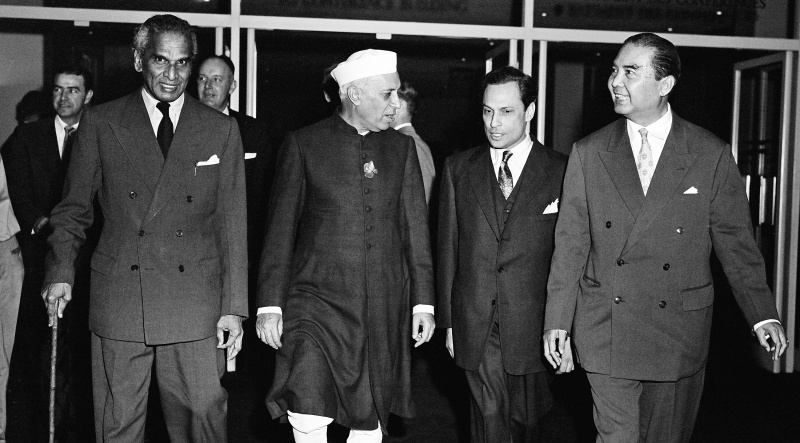 So, Nehru answered back that this would create unnecessary complications in the relation between China and India and that he would prefer that the Chinese issue regarding their permanent membership of the UNSC be settled first. Firstly, the Soviet Union was not proposing that India replace People’s Republic of China but that India be made a sixth permanent member of the Security Council. Secondly, great powers vying for world dominion do not behave like mafia bosses who puts to test the loyalty of their subordinates. 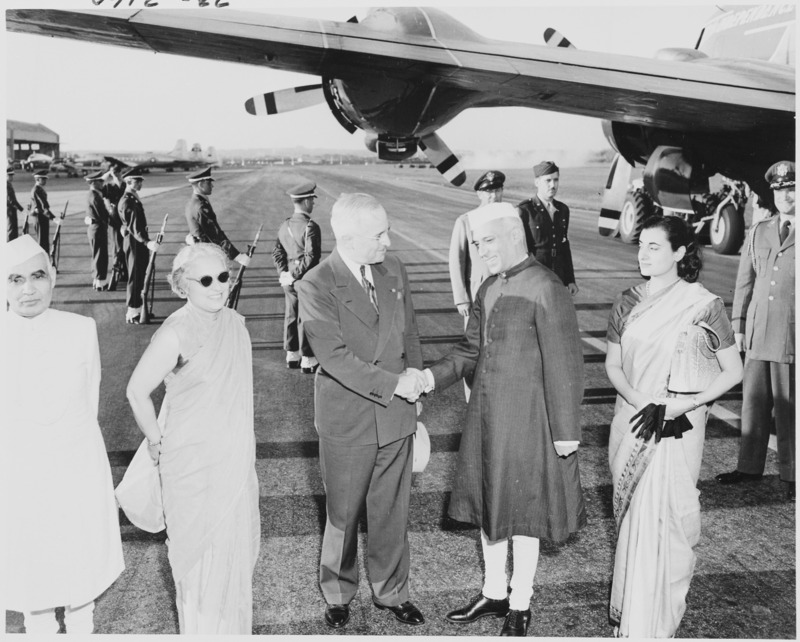 If Nehru had confidence that India was firm on its Non-Aligned commitments and determined its own foreign policy independently based on the principles of Panchsheel why did Nehru think it will be acceptable to attend and pass the Soviet loyalty test? Thirdly, in response to the US proposal, if Nehru thought that in an event where PRC does not get its rightful place in the Security Council the USSR will be so upset that it will walk away from the UN and probably start a war, why then did Nehru have the same reaction to the USSR’s proposal to place India in the Security Council, i.e. to refuse the offer? Anton Harder is well aware of such contradictions in his article so he further reinforces his arguments supporting Nehru’s actions by playing the “principle” card. Harder implies in his article that Nehru did not want to claim a seat for India in the Security Council because it will be wrong in principle to do so especially with regards to the US offer. But put yourself in the following hypothetical situation where Pakistan invades India and conquers most of it. Is the international community compelled to give India’s seat in all international bodies to Pakistan or should the international community sanction Pakistan by kicking it out of all international bodies? Obviously, the principled thing to do will be the latter option. But in 1949-50, India itself went with the first option when it came to China and despite having close relations with the Republic of China, Nehru was quick to recognise Mao’s PRC. Who behaved in an unprincipled manner here? USA or India? Unfortunately the logical and correct answer is Nehru’s India. Since we are discussing “principle”, let us have a look at it from a more meta-level and ask what kind of principle are we talking about when we are referring to the permanent members of the UN’s Security Council? The permanent members of the Security Council is a group of countries which had distinguished themselves in waging wars in the 1930s and 40s and have been asked to ensure peace and security of the world since then. The permanent members of the Security Council is not a group of countries or people with a proven track record of living in peace or who are experts in the field of peaceful resolution of conflicts; if that would have been the case then Switzerland would have been the first member of the group and M.K. Gandhi would have been the first president of the UNSC. Am I being too naïve? Of course. But the point I am trying to make here is that the UNSC is in itself such an illogical and hypocritical organisation that expecting other countries to follow “principles” that one country might hold dear, when dealing with issues regarding the UNSC is in itself naïve and an apt recipe for disappointment. 1957: China Occupies Aksai Chin, a massive area in Indian Kashmir. 1959: China invades and forcefully occupies Tibet, the semi-autonomous buffer region between India and China. 1962: China launches an all-out invasion of India and India faces its first and only military defeat in its post-independent history. 1964: China develops and detonates it first nuclear weapons.